After the battery remove the memory cover and the hard drive cover (left). 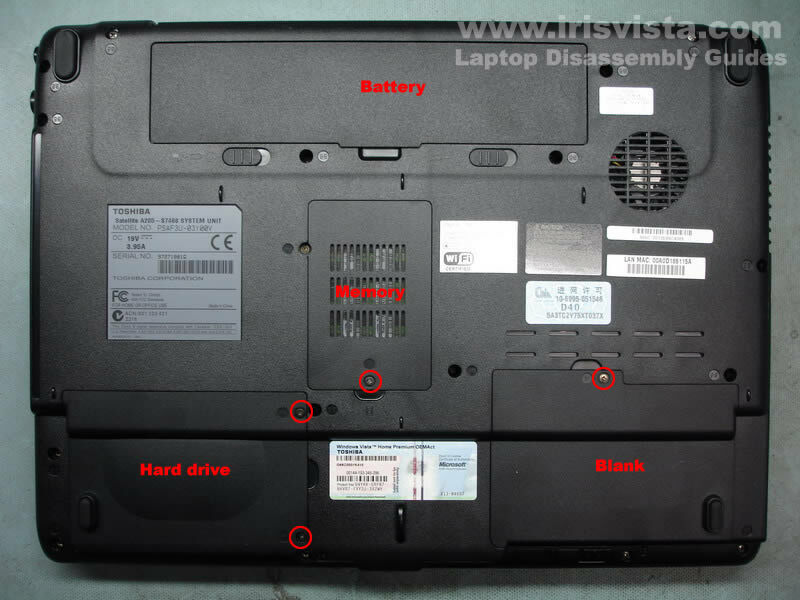 There is one more cover on the right (blank) but there are no devices under this cover. 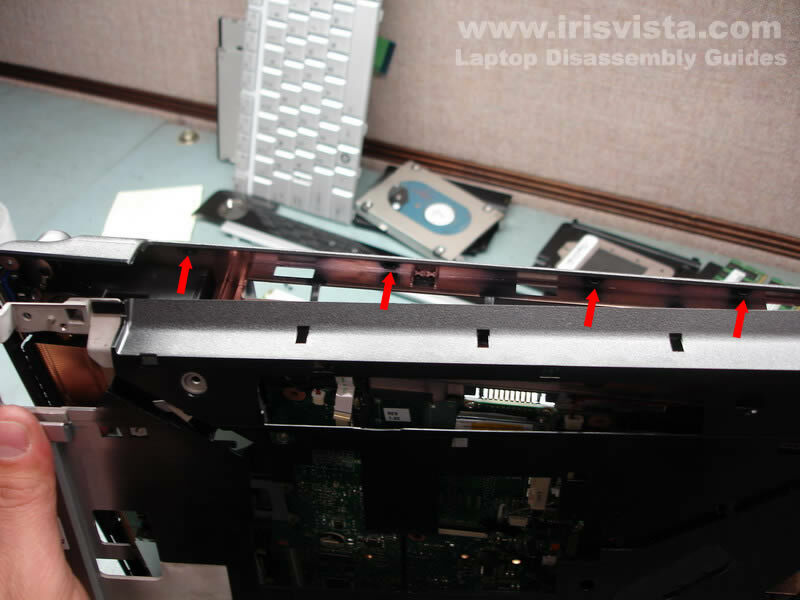 Slide the hard drive to the left and disconnect it from the motherboard. 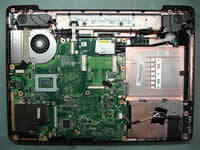 Lift up and remove the hard drive. 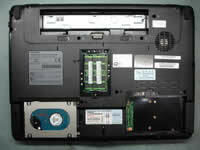 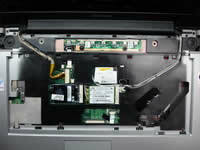 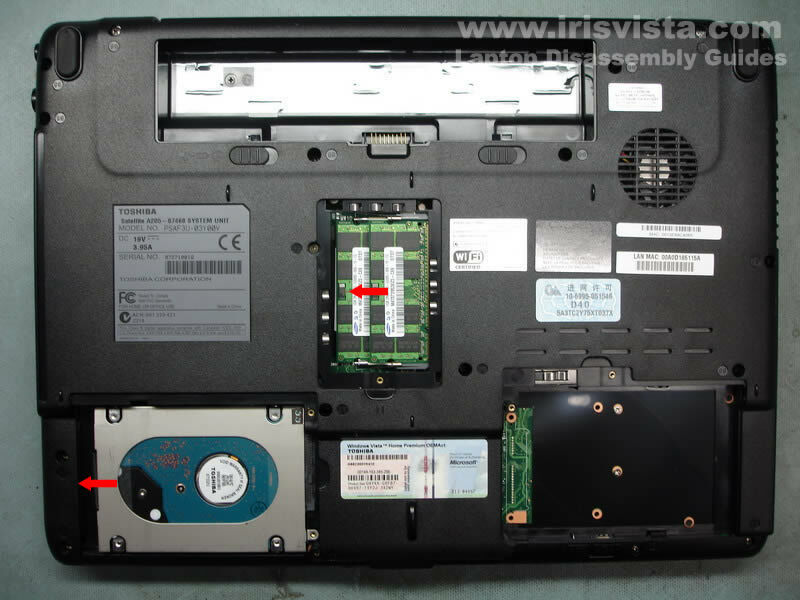 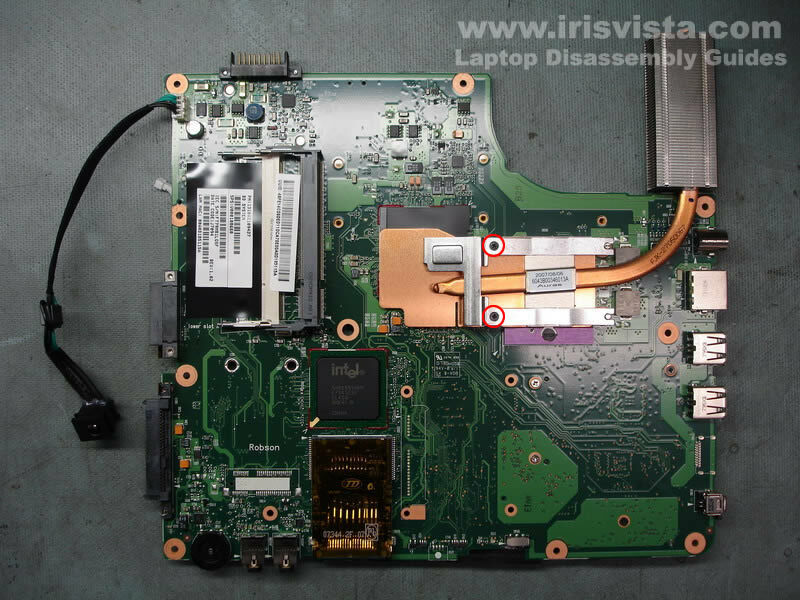 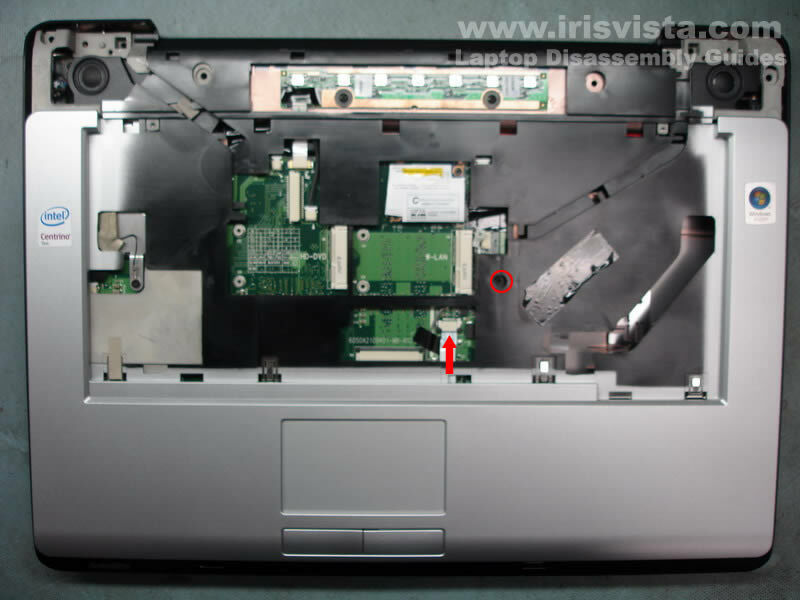 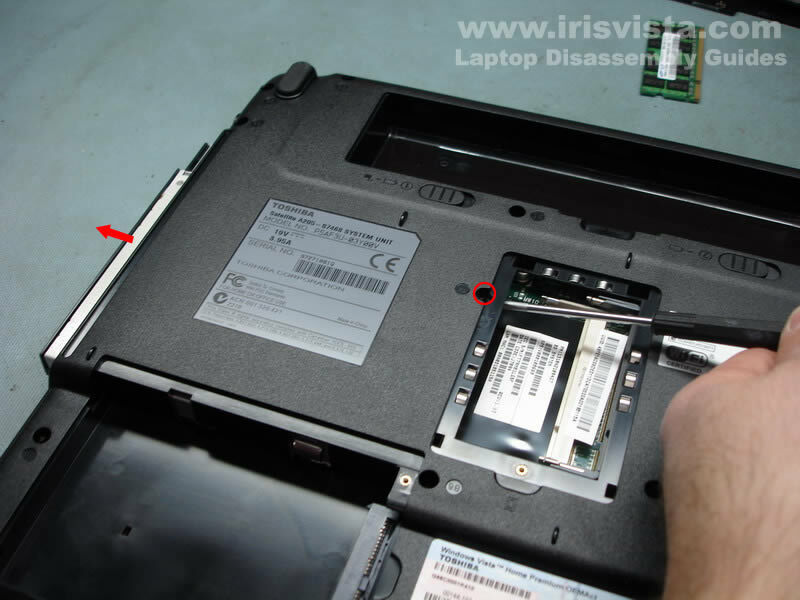 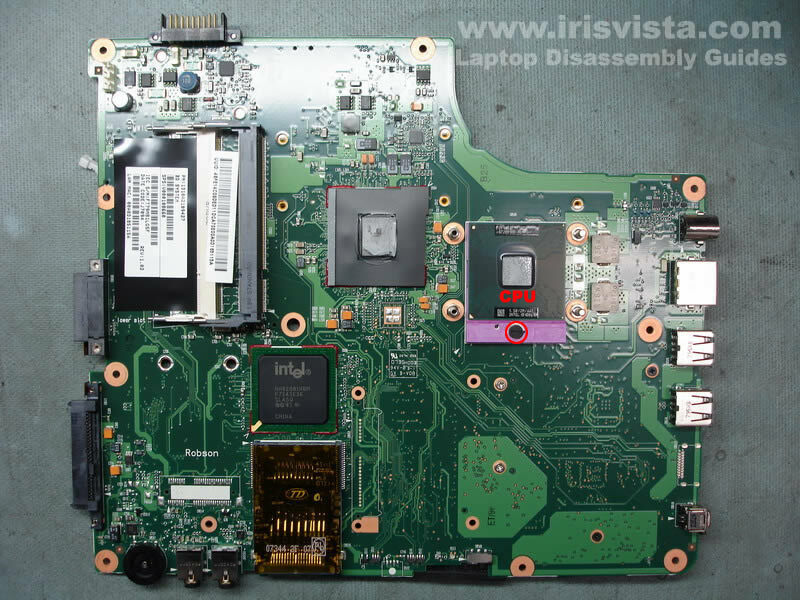 Remove one screw securing the optical drive and push it from the laptop with a screwdriver. 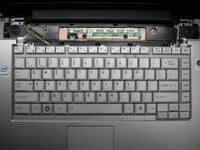 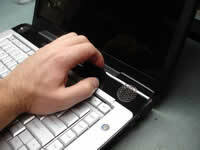 Start removing the keyboard bezel with your fingers. Lift up and remove the keyboard bezel. 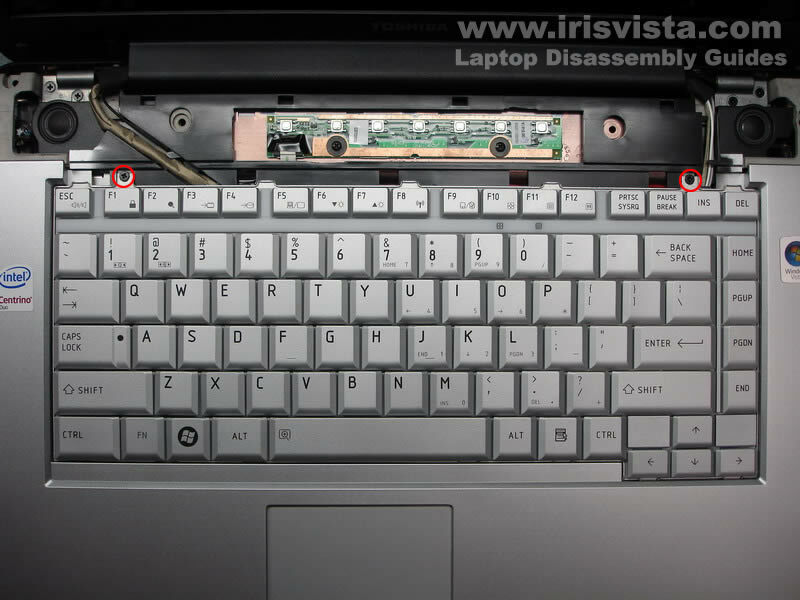 Lift up the keyboard and disconnect it from the motherboard. Diconnect antennas from the wireless card. 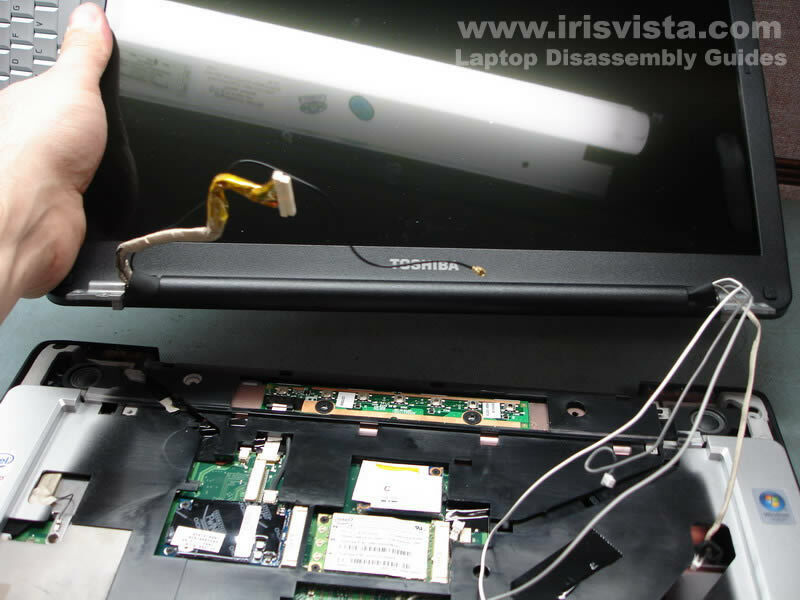 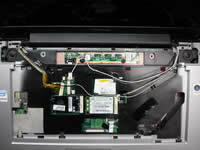 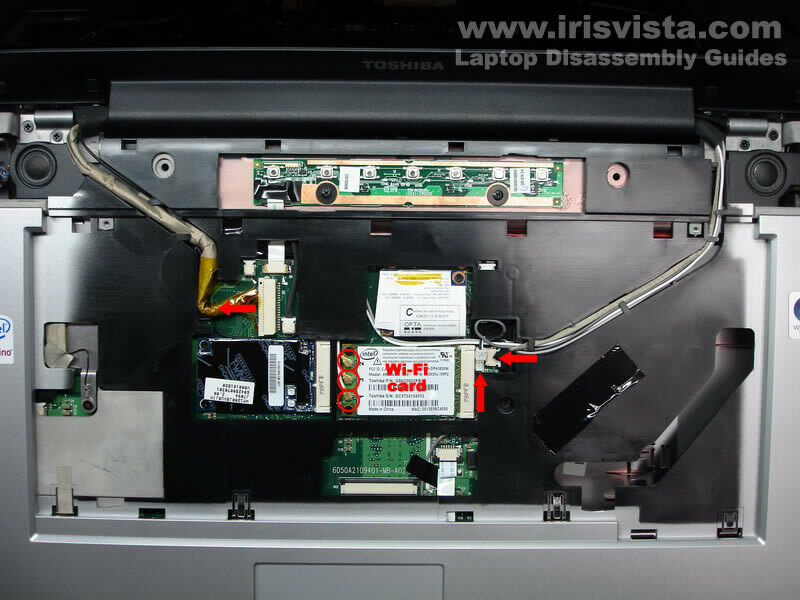 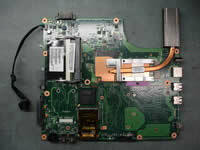 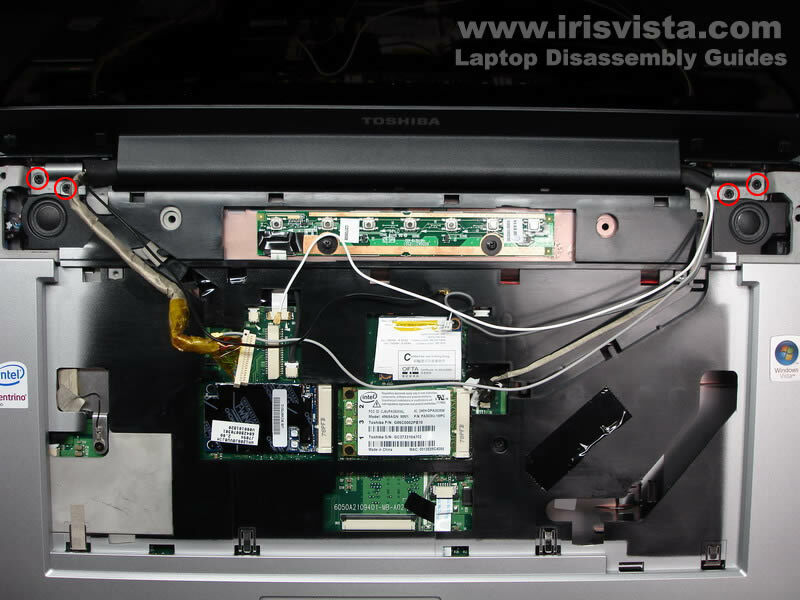 Remove screws securing wireless card and HD DVD decoder. 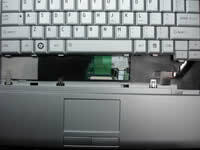 Remove one screw securing the top cover. To separate the top cover from the base you can use a guitar pick. 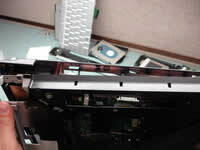 Insert the pick between the top cover and base and move it along the side. 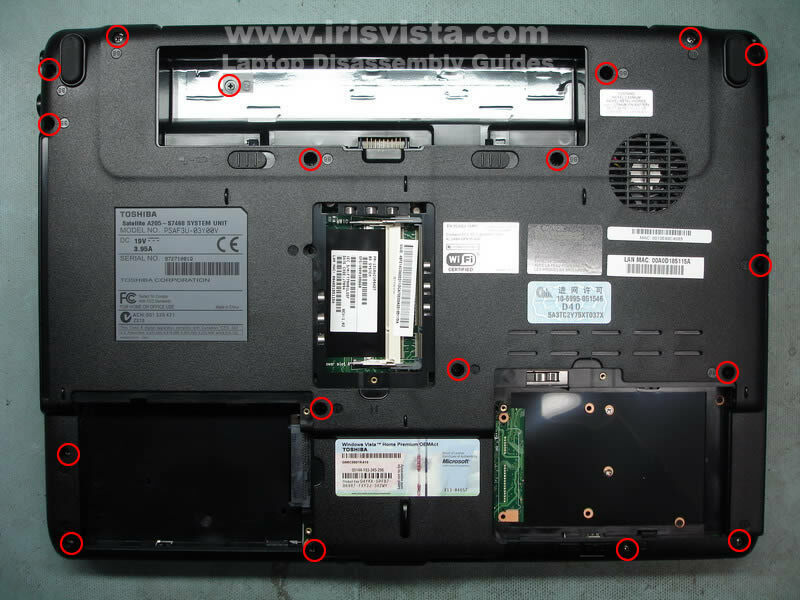 While removing the top cover assembly you'll have to unlock latches located on the back. 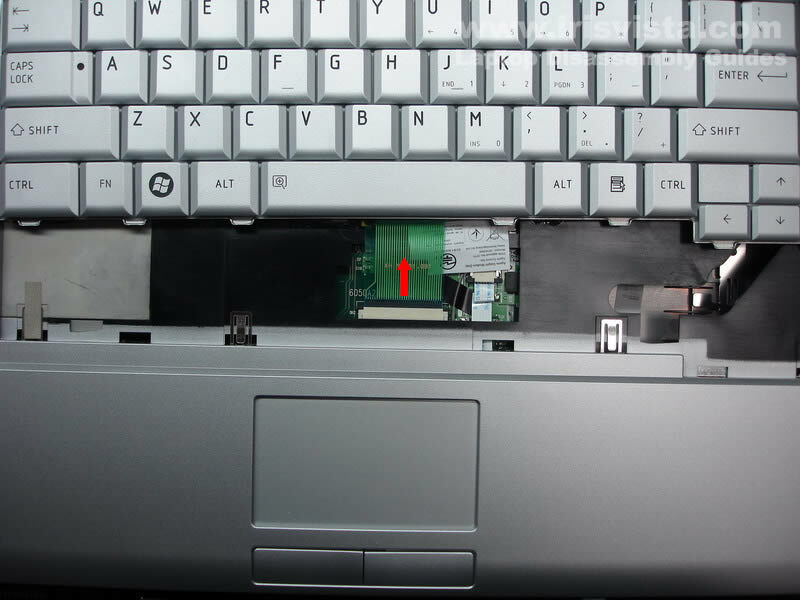 Unplug cables pointed with red arrows. 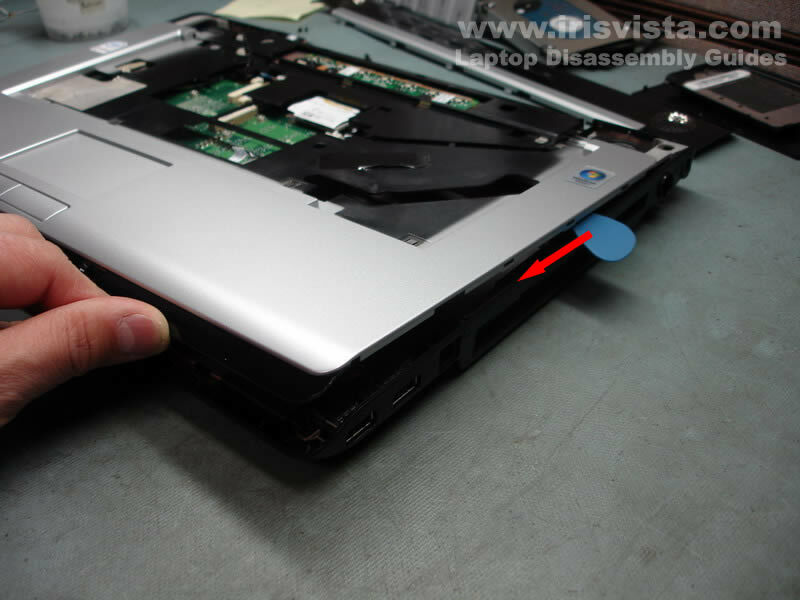 Lift up the power jack and separate it from the laptop base. 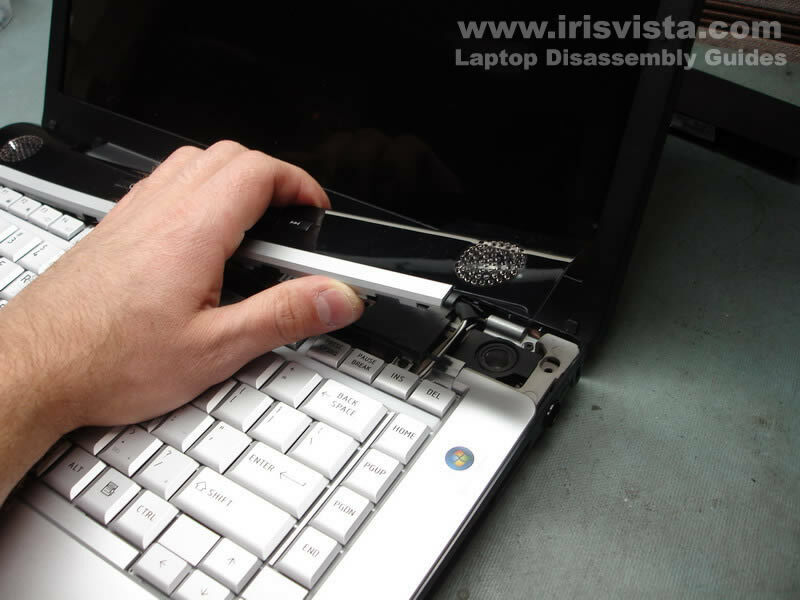 Disconnect one more cable and remove one screw. 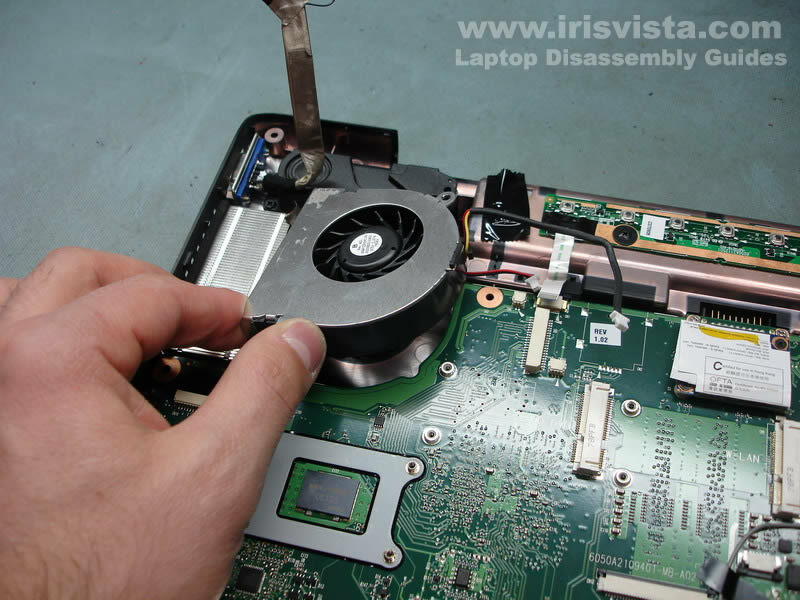 Lift up and remove the cooling fan. Start removing the motherboard from the right side. 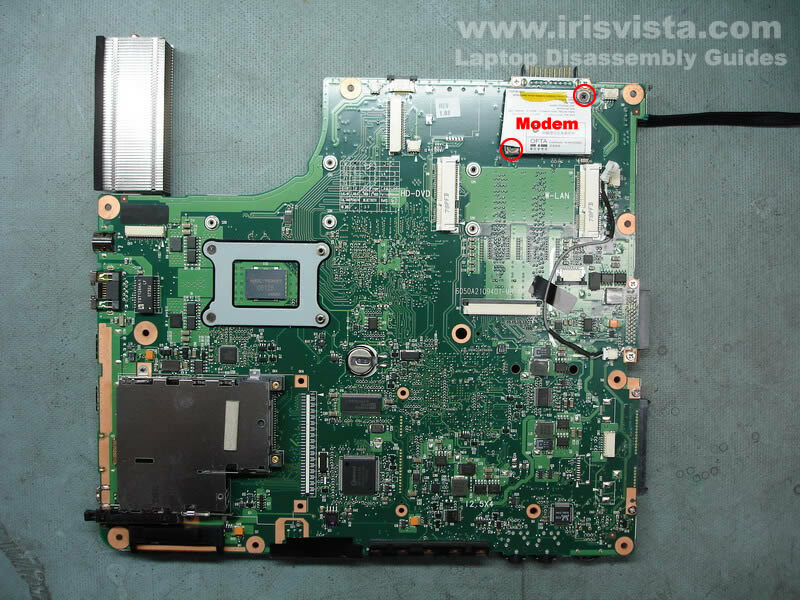 Remove two screws securing the modem. 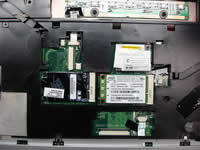 Remove two screws securing the heatsink. 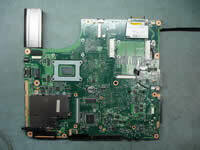 Unlock the CPU socket and remove the CPU.